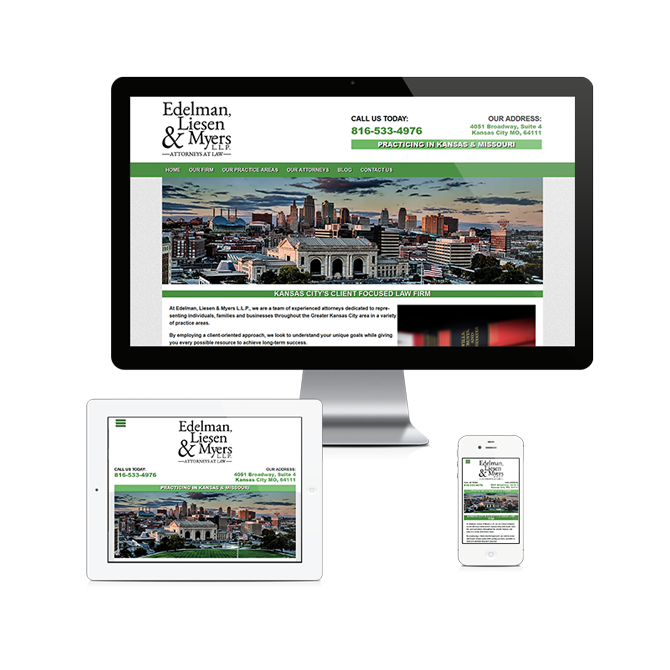 Edelman, Liesen & Myers LLP is a Kansas City based law firm that wanted to develop a web design that would provide information to clients and potential clients. One element of the web design that ELM Law wanted to focus on was the ability to create original content for legal reviews, opinions, and blog posts. For the web design, I knew we wanted to keep the design relatively clean so that it would be easy to navigate for users. The web design is focused on clearly defining and showing their areas of practice, information about the firm and contact information. With the requirements of the project, I knew I wanted to use WordPress to develop the web deign so that ELM Law would be able to easily add and edit content on their website. With the easy to use web design, ELM Law can keep the Kansas City area up to date on legal goings on.